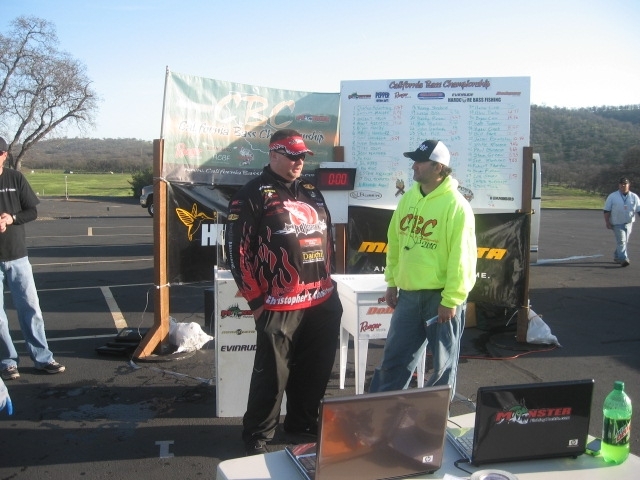 The California Bass Championship series came to the Motherlode to wrap up the qualifying round for this region heading into the regional finals. Lake Mc Clure known for its tough fishing conditions did not let anyone down. As more weather fronts and rising water make catching quality fish a tough task on this day! 45 anglers gave it there best.Some local guides even struggled on this day. Bass were caught on zara spooks,senkos,wakebaits,crankbaits and worms. The top qualifying pattern was the dropshot! Ron Howe a RB Bass Pro Staffer qualified in the the event bye taking the number 1 seed in this event. Ron was drop shotting a Zipper Worm Big Weenie in Screaming Pink to finesse these finicky Bass into his live well. The event did not have a slot limit pass so all Bass had to be over 15″ to weigh in.